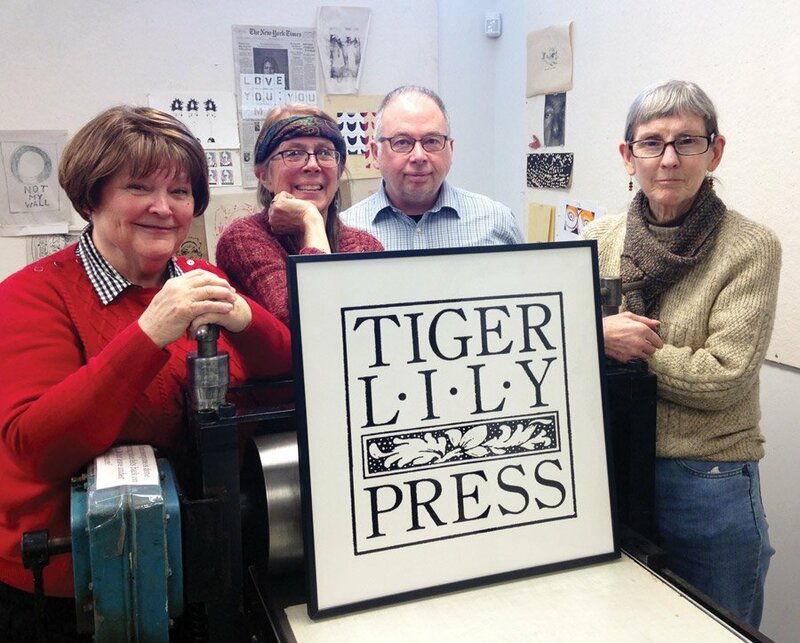 Tiger Lily Press – a studio that offers work space, exhibition opportunities and classes for printmakers – has been granted tax-exempt status by the Internal Revenue Service. Among other things, that means donations to the organization are fully tax-deductible. Tiger Lily Press also is eligible to apply for government and foundation grants, which will further its mission to produce, preserve and promote the art of printmaking. Founded in 1978, Tiger Lily Press has been located on the grounds of the Dunham Recreation Center and supported by the Cincinnati Recreation Commission for 18 years. Volunteers maintain and operate the studio, which is equipped with the presses and equipment needed for the printmaking processes of etching, letterpress, relief, screen printing and polyester plate lithography. The Tiger Lily Press Working Artist Program Residency was established in 2012. Its goal is to connect Tiger Lily with an artist interested in expanding his or her current work through a focused residency project. In addition, classes are available for beginners, artists looking for a refresher or new techniques, and for teachers seeking continuing education.